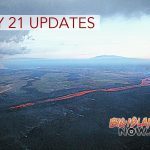 The U.S. Geological Survey released these photos of the Lower East Rift Zone on Friday, July 20, 2018. 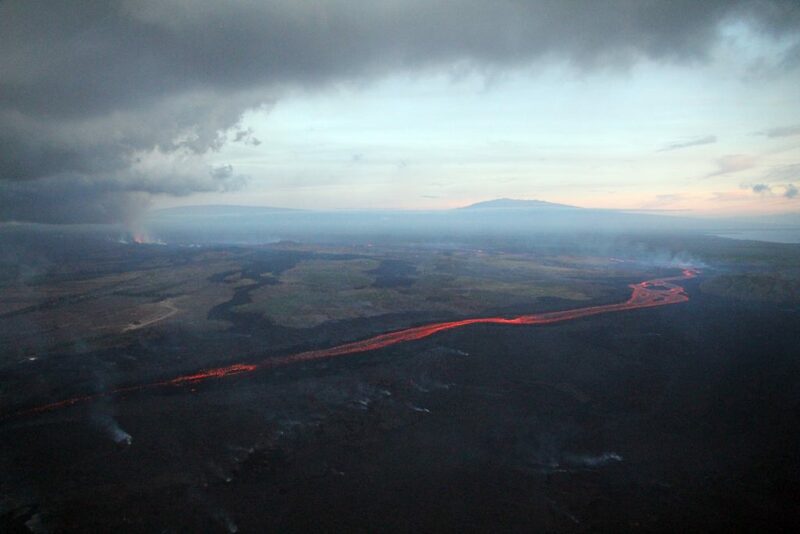 During their early morning overflight, USGS scientists captured this view showing three of the five volcanoes that comprise the Island of Hawai‘i: Mauna Loa, Mauna Kea, and Kīlauea, with the Fissure 8 vent and channelized lava flow on the volcano’s lower East Rift Zone. 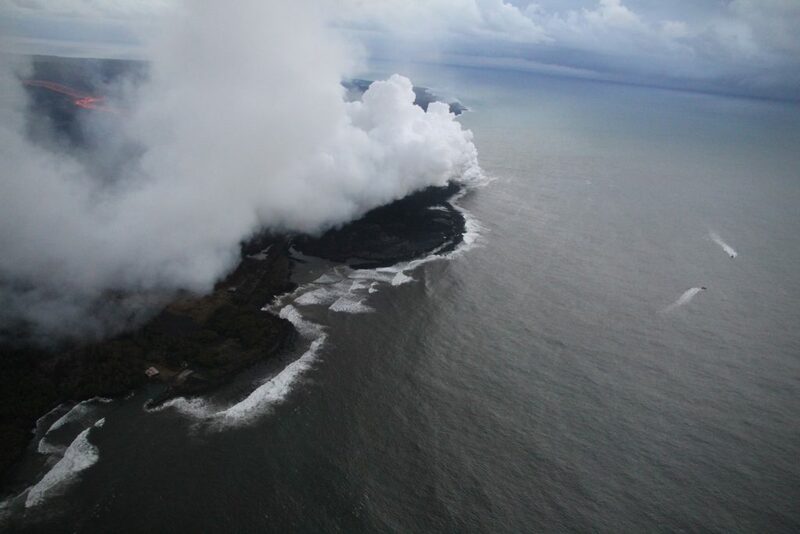 An aerial view of the southernmost ocean entry lava lobe. 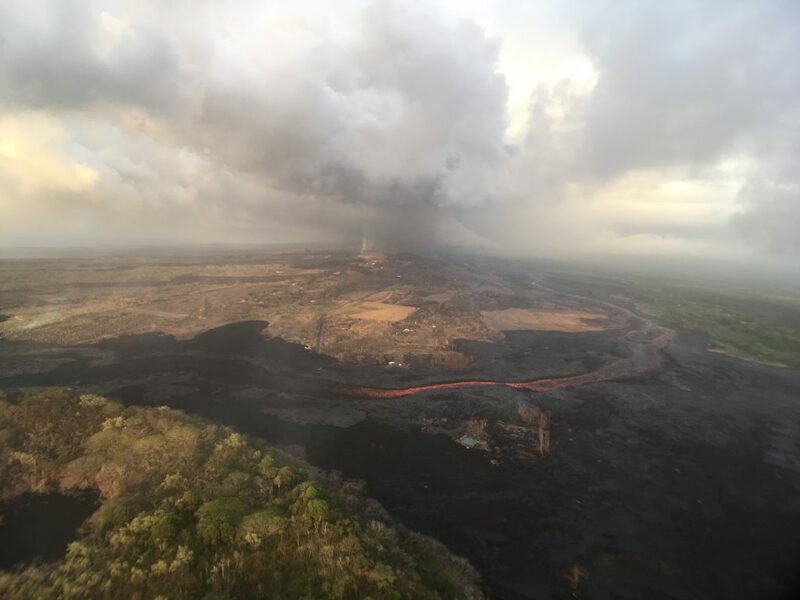 As of 6:30 a.m. on Friday, July 20, 2018, the south margin of the lava flow had not changed since yesterday, and was about .3 miles from the boat ramp at Isaac Hale Park. 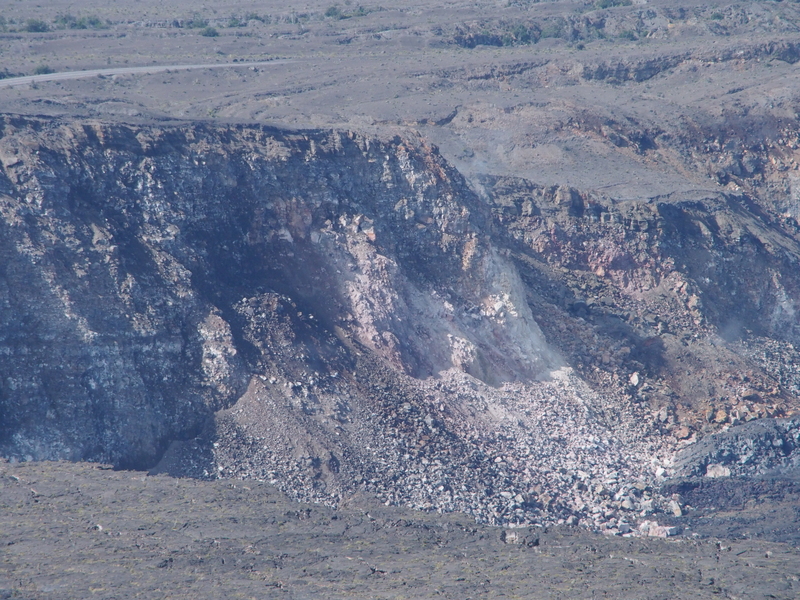 This telephoto image, looking across Kīlauea’s summit from the northeast rim of the caldera, shows rubble dislodged from a cliff just north of the South Sulphur Bank, with the 1974 gully between. 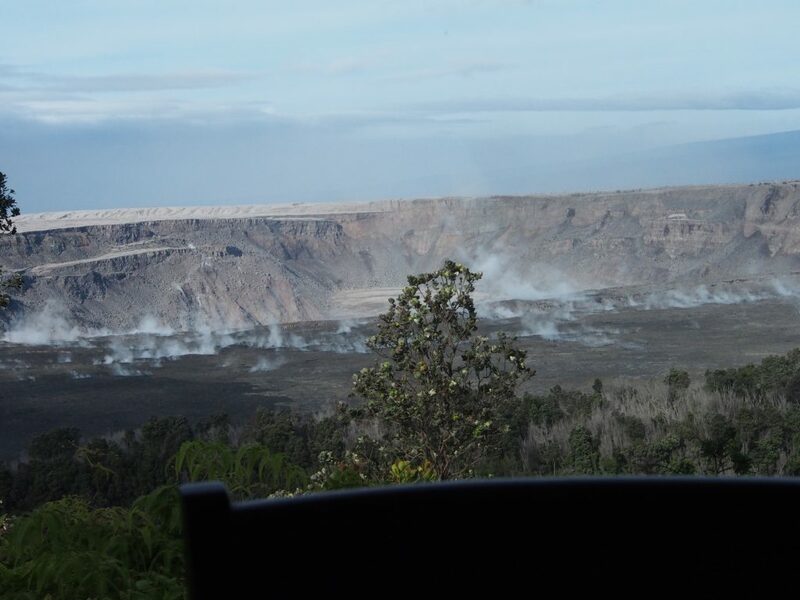 With such rubble, it is no wonder that dust clouds were so prominent in this area after yesterday’s collapse event. This photo provides context for the adjacent image. 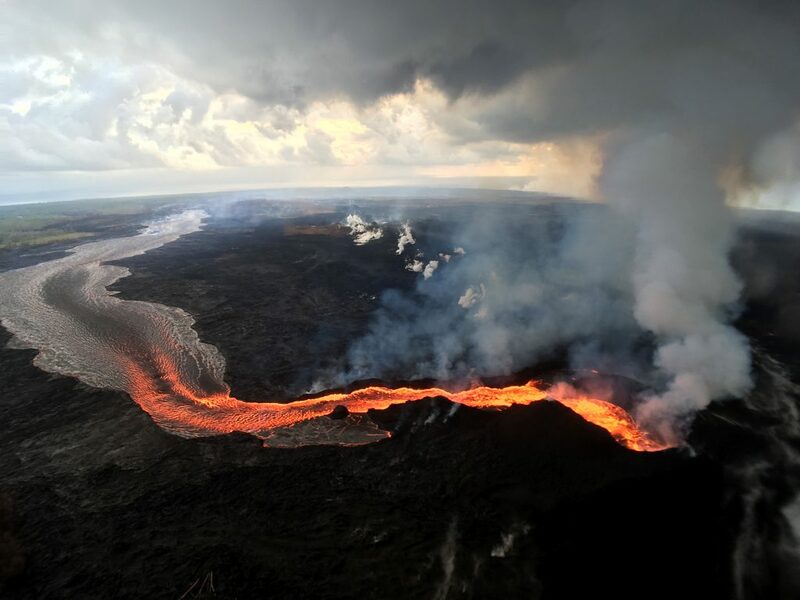 South Sulphur Bank is the light yellow area at right. 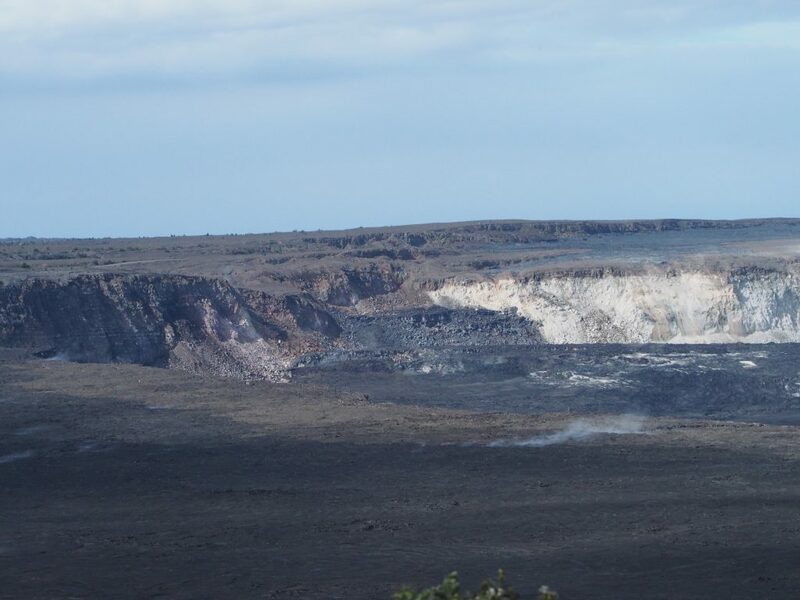 Near the center of this photo, a section of the former Crater Rim Drive on Kīlauea’s caldera floor is just barely visible. 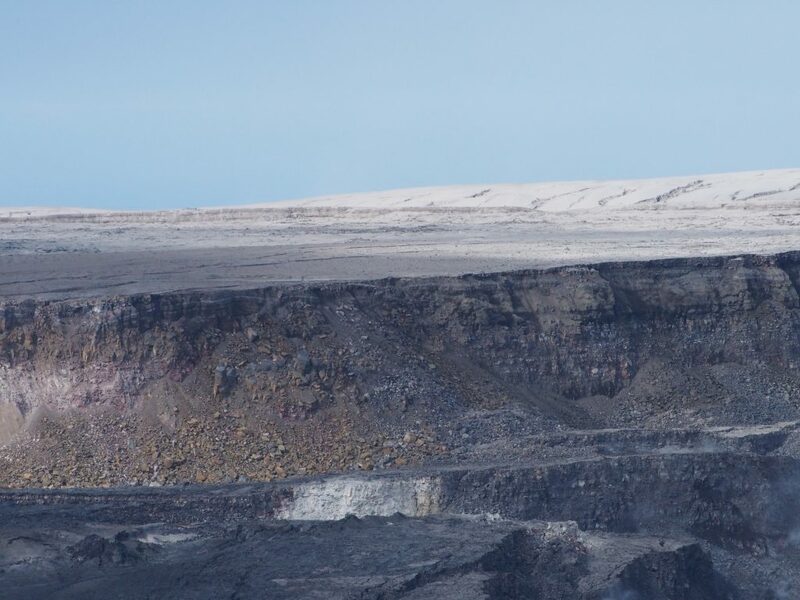 Beyond the road, are cracks cutting Sand Spit, the ash-coated 1921 lava flow, and the cliff that more or less forms the boundary of the topographic caldera. 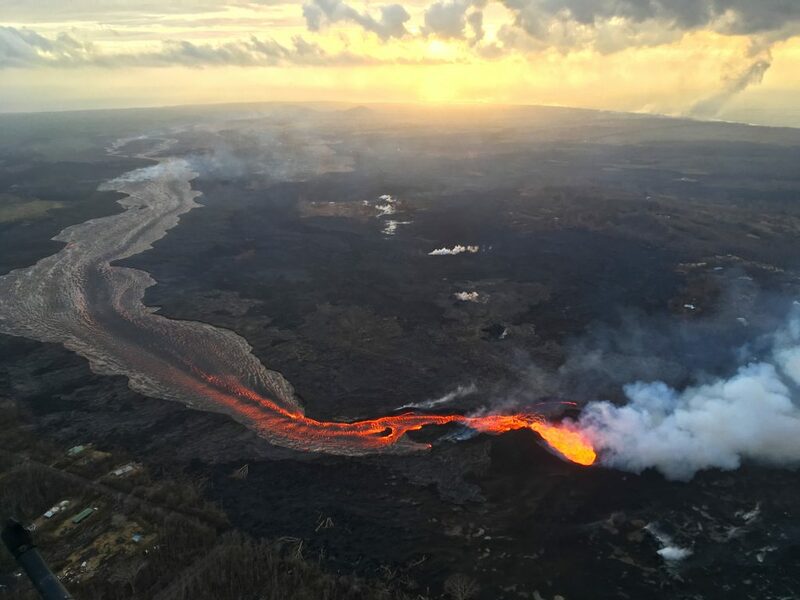 Repeat photography from the same location helps USGS scientists see subtle changes at Halema‘uma‘u and the summit caldera landscape.